Midwife Ellie is a Berkeley-based Certified Nurse Midwife who celebrates new families through focused care for mothers, babies and partners. 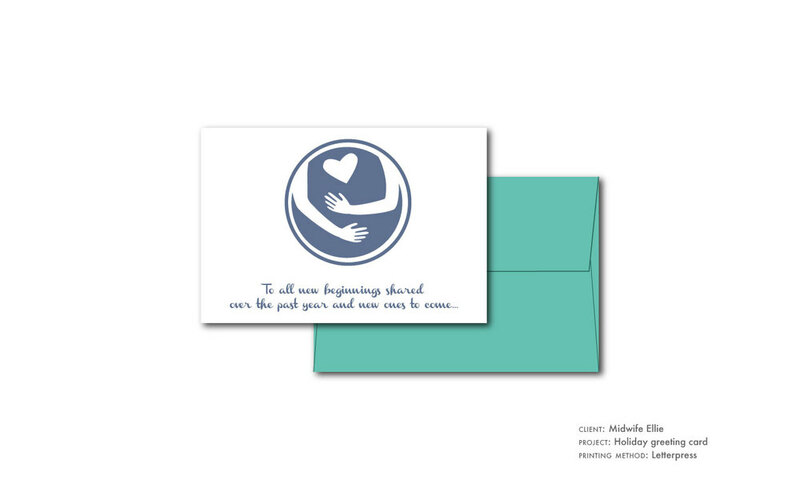 Ellie needed modern, yet personal branding, evocative of her supportive style of care. After learning about Ellie's practice and approach, I developed a logo with three illustrative elements, each representing an important aspect of Ellie’s practice. 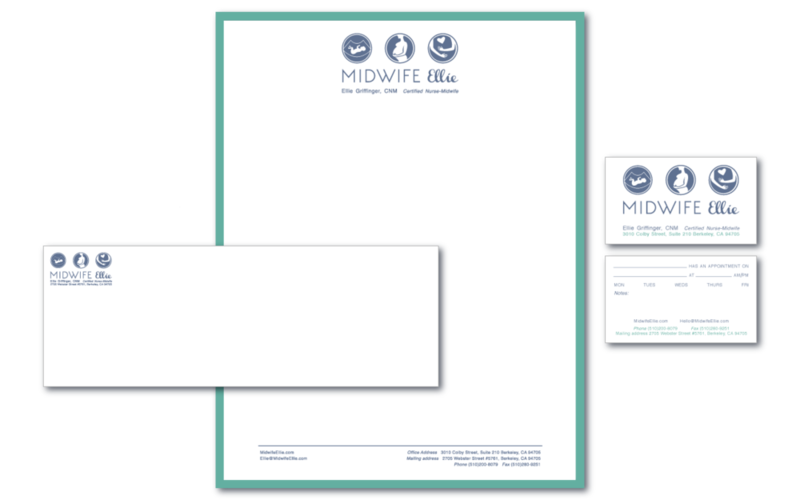 This project included logo and website design and some fun extras, like rubber stamps, letterhead, and business cards that double as appointment cards.